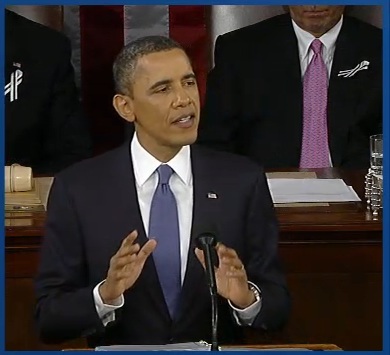 I’m sitting here watching the State of the Union, and I can’t help but be inspired. I’ll admit that in many of my adult years I haven’t bothered to watch the State of the Union or if I did, it wasn’t something that really resonated with me. Often times, politics can seem so far away from my life; though I know that’s not really the case, it’s easy for world events to seem distant from the day-to-day happenings of life with a toddler. But tonight, for the first time in a long time, I feel that the politics are speaking to and for me. I am so proud of our government for the passing of the health care bill last year. Without government supported health care, like MassHealth and Commonwealth Care, our family would not have insurance, as Chris’ job does not offer any and the cost of Cobra (from my employer in New York) is beyond our means. When President Obama was talking about affordable health care, he was talking about our family. That meant something to me because, for the first time, I am trying to to acheive the American dream. I am the person who doesn’t have a lot of money, but has a great idea for a company…a brilliant idea, actually, which will not only support other American businesses and create a few jobs, but will also positively impact my community and help to raise a healthier and happier next generation of Americans. fueled by lots of ice cream. I spoke to business owners on Nantucket, to the local SCORE office, and to owners of similar businesses off-island. In December, I visited three similar businesses in Massachusetts and Vermont, and I took a course to become a Certified Lactation Counselor – an important step for the success of my business. At the end of December, I located a store front, finalized my financial plan, and got ready to present my business plan to a bank. I was so excited about Papoose and everything it can do for my community, but when I started trying to figure out funding, I quickly became discouraged. Even with the ARA and new funding for Small Business Administration-backed loans, it wasn’t going to be as easy to come up with start-up capital as I thought. I presented my plan to a local non-profit in hopes that they might be able to help, but haven’t yet heard back. The bank and SBA requires that I have a minimum 10% funding from an outside source ($8,000 of the $80,000 needed) and collateral to even be considered for a loan. That seems insurmountable. The last few weeks, I’ve been pretty bummed about the business plan and how to make it a reality. I keep trying to think positive, but I’ve been at a loss as far how to proceed. But tonight…tonight I am revived. If the President of the United States doesn’t think it’s crazy for someone with no savings account to dream of opening a business, then it’s not crazy and it must be possible. So, I’m thinking about going out on a limb. My friend Laura and I had discussed the possibility of sending a fund-raising letter to my friends and family, see if I might be able to get money for the business that way. Sort of a “If 80 people give me $100…” sort of thing. I didn’t actually do it, because I wasn’t sure if it was crossing the line. If it would be weird or if I might alienate everyone I know by asking them to give me money. But after tonight, I’m thinking maybe it isn’t that bad of an idea. Maybe I’ll even send one to Vice President Biden, since I’ve met him and he’s got a thing for Nantucket (and all). But first, I want to know what you think. Is it nuts to think people would donate to my start-up costs? Do you have any other ideas about how I might come up with $80,000? Unemployment is >8%, USA is borrowing 40c for every dollar spent, and the 2011 deficit is set to be around 1.5 TRILLION dollars. It’s my hope that all of your hard work won’t be for not and the rug won’t be pulled out from you and other small businesses and government healthcare recipients, since it seems our government can’t even keep a simple budget. People wouldn’t “donate” to your startup. But I’m sure you could find someone to invest in it. That’s how startups work. They give you x% of your initial investment for a certain percent ownership of the company.